Ground was broken for the charity-funded Hong Son Center for Nurturing Children with Disabilities in Quang Ngai Province on May 5. 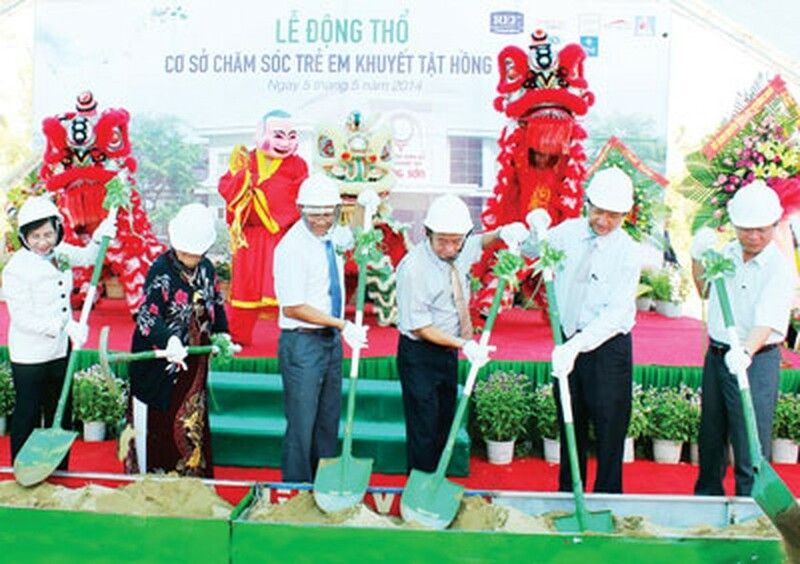 Nguyen Thi Thu Ha, deputy secretary of the Ho Chi Minh City Party Committee, Nguyen Minh, the Quang Ngai Party secretary, and other local leaders took part in the groundbreaking ceremony in Phu Vinh Tay village. The 7,000-square-meter shelter is expected to cost VND 6 billion (US$ 285,000) , which will be donated by individuals and organisations. It will have a library, classrooms for vocational training, a kitchen and dining room, infirmary, besides living facilities. It will take in more than 100 children with disabilities, with those from poor families getting priority.